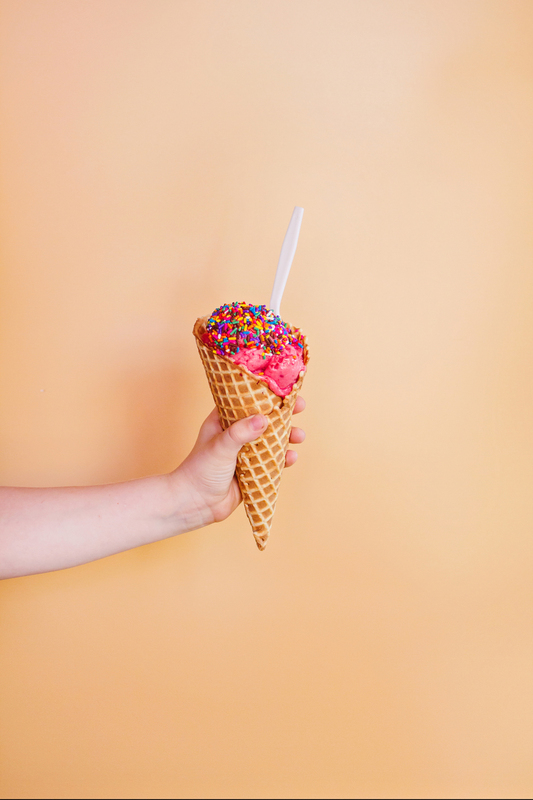 Ice cream and summer go hand in hand. And now that summer has officially begun, it’s pretty much the perfect time to bring you this city guide. Though, I’m not sure if there’s ever a bad time to talk ice cream. Either way, to say I’m excited about this guide would be an understatement. It could be my favorite, to date. If you follow Mari or me on Instagram, you likely saw lots of sneak peeks, but we simply couldn’t help ourselves. We had the most fun couple days running around to all of the best ice cream shops in Houston. 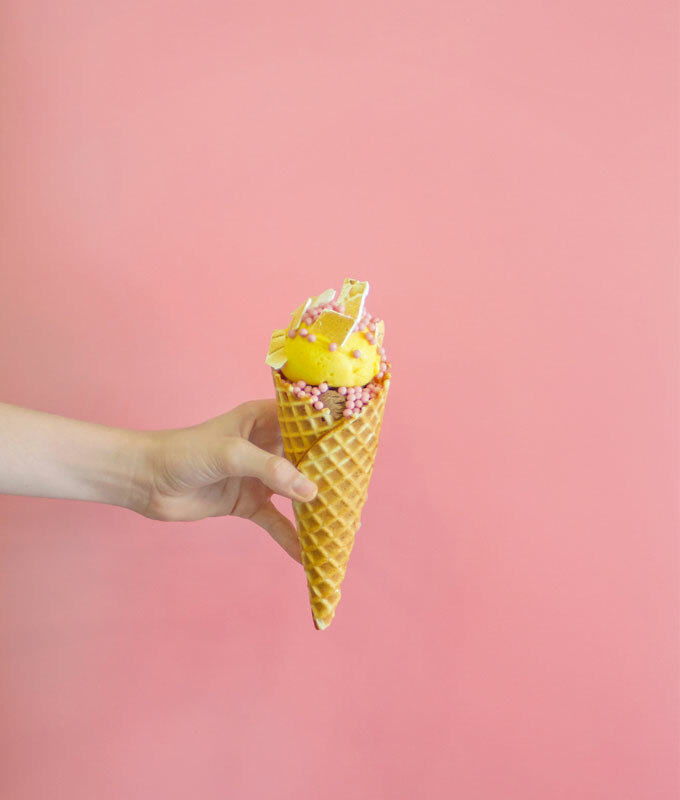 With the heat index being close to 100ºF the days we were shooting, we were thrilled to cool down with ice cream (and lots of it). I have a feeling you’ll want to bookmark this page for all your summer adventures. Whether you live in Houston or you’ll be visiting, stopping at one (or all) of these spots should be on your list. 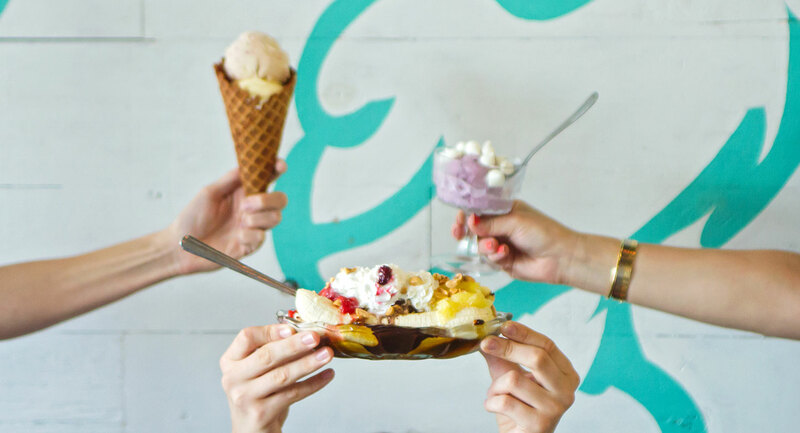 Now, keep on reading for the eight best places to get ice cream here in Houston. 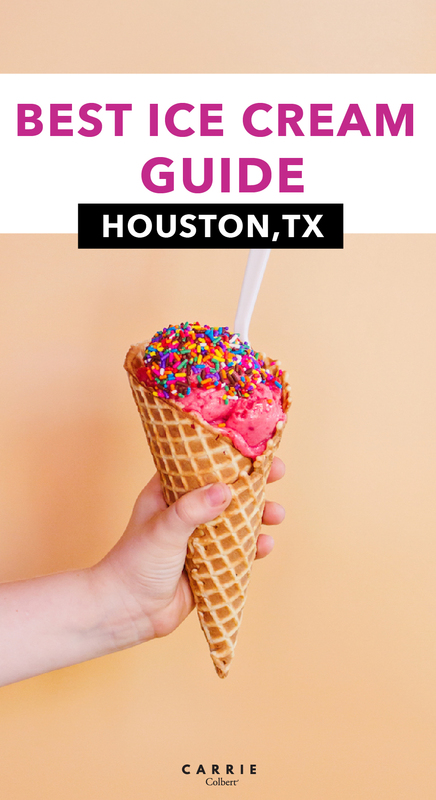 Below you’ll find the eight best places to get ice cream in Houston, listed alphabetically, followed by a Google map to help you locate each one. Enjoy! 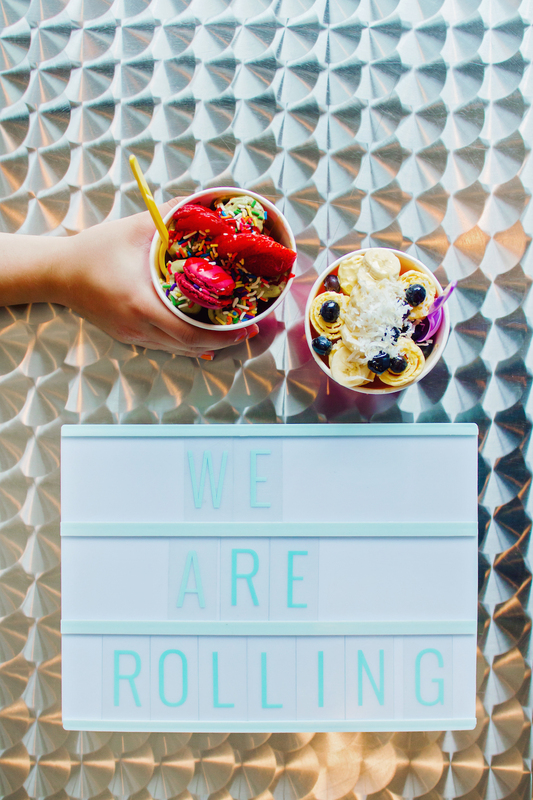 Thai inspired rolled ice cream could be the greatest ice cream concept…ever! Truly. I’m partial to “50 shades of grey,” which is a mix of banana and chocolate. 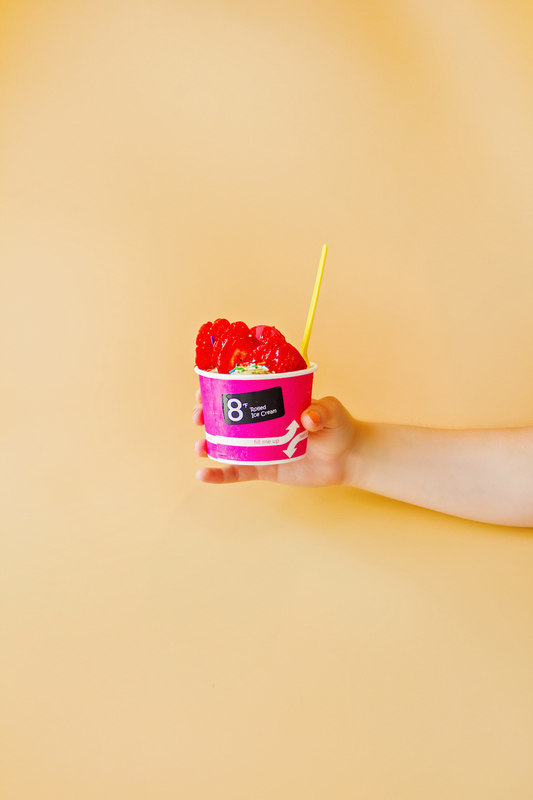 The ice cream tastes so incredibly fresh, it’s rolled up to perfection, and topped with anything you could imagine. It’s pretty new to Houston, and we’re so thrilled it’s here! 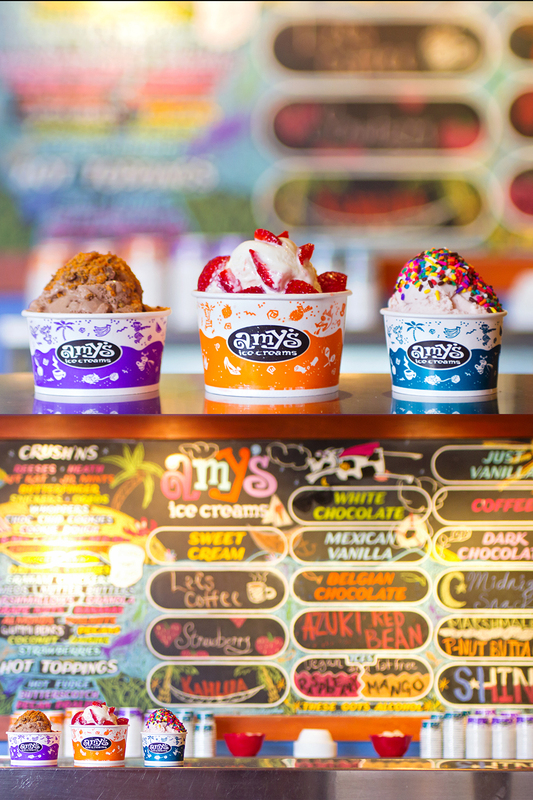 For over 30 years, Amy’s Ice Creams has been at the top of the ice cream game. 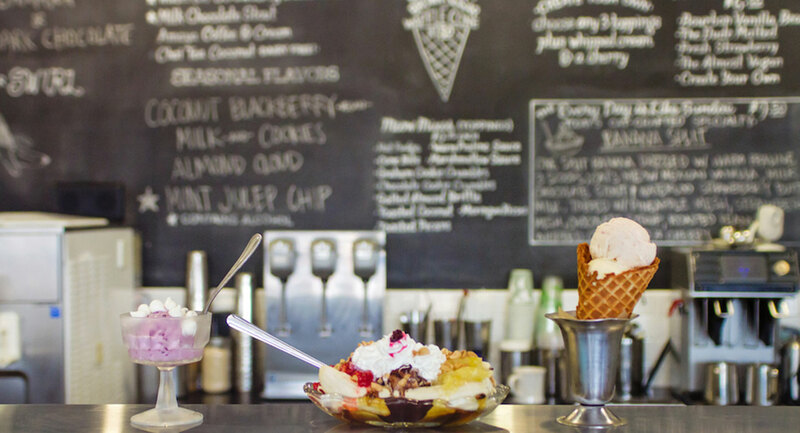 Coming from Austin, Amy’s is where you’ll find good, old fashioned ice cream. From their world famous (!!) 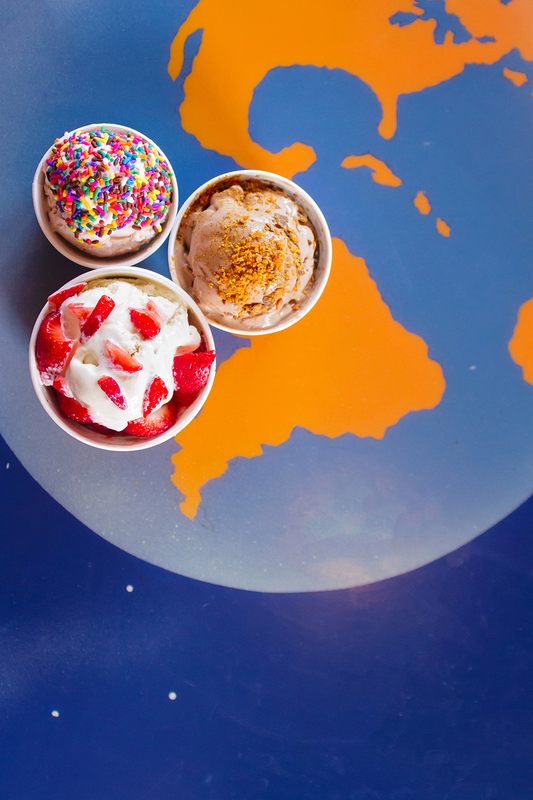 Mexican vanilla ice cream to their vast assortment of toppings, they have over 350 specialty flavors in daily rotation. You can’t go wrong with anything you order, and the cow themed shops are not only fun and colorful, but oh so welcoming, too. 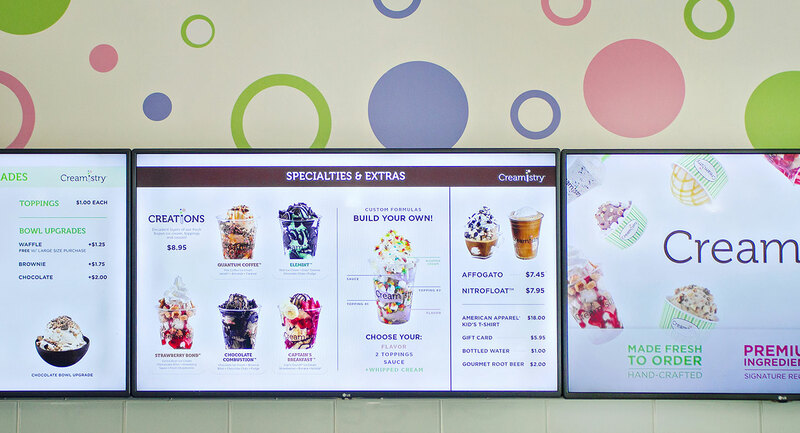 You’ll have a truly authentic ice cream experience here. 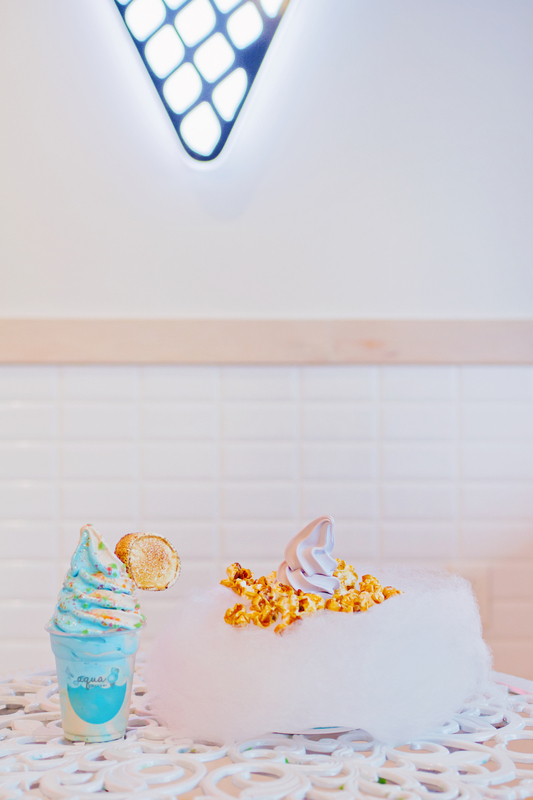 Sea salt soft serve? Yes, please! Anything with sea salt is instantly better, especially when added to something sweet. 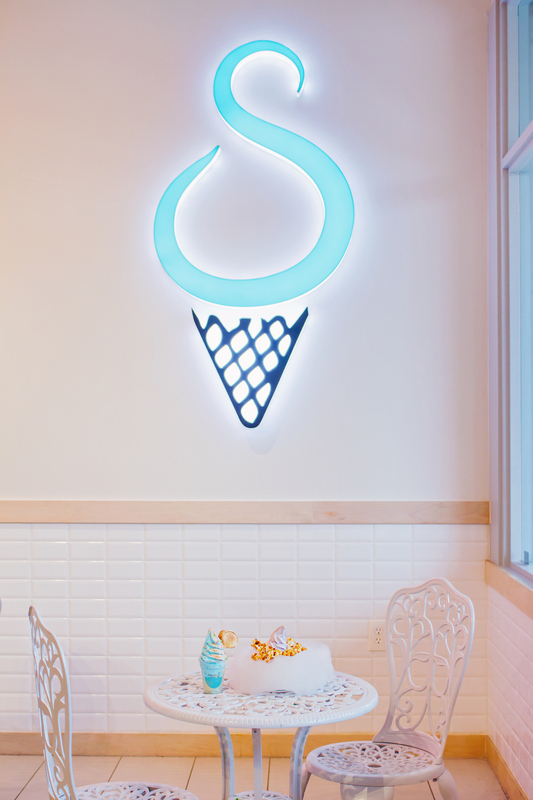 Aqua S is a premium soft serve company from Australia. They update their flavor updates twice per month, and each one is more delicious than the last! When you walk inside, you’ll feel immediately like you’re in the clouds in a dreamlike setting. Both the soft serve and the ambiance are perfection. 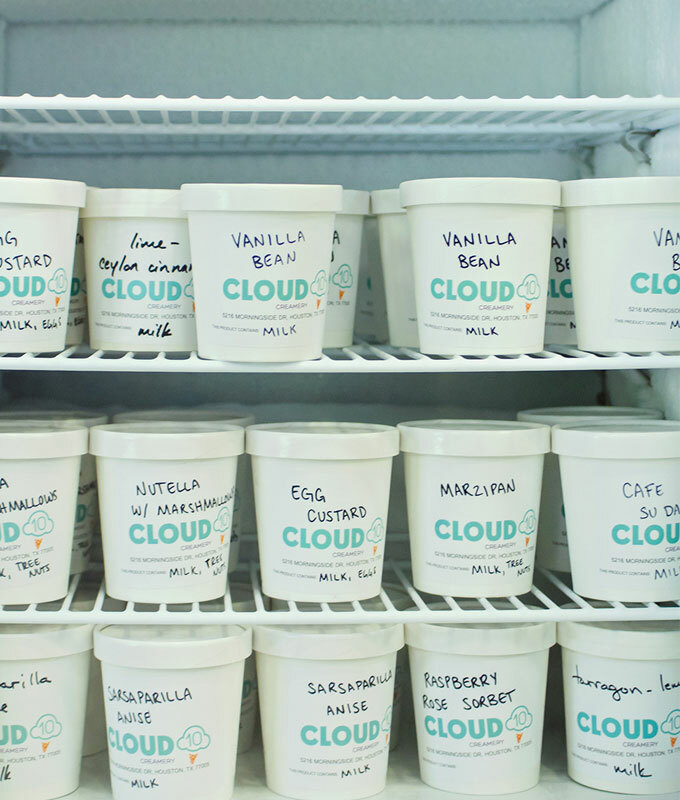 What is so great about Cloud 10 Creamery is that they offer 10 original flavors that are available all the time, and then they offer another 10 flavors that are seasonal, which are even more unique and extremely delicious. The thing is, even their original flavors aren’t your regular ice cream flavors. Think peanut butter and jelly, Nutella and marshmallow, and marzipan to name a few. And their seasonal flavors? 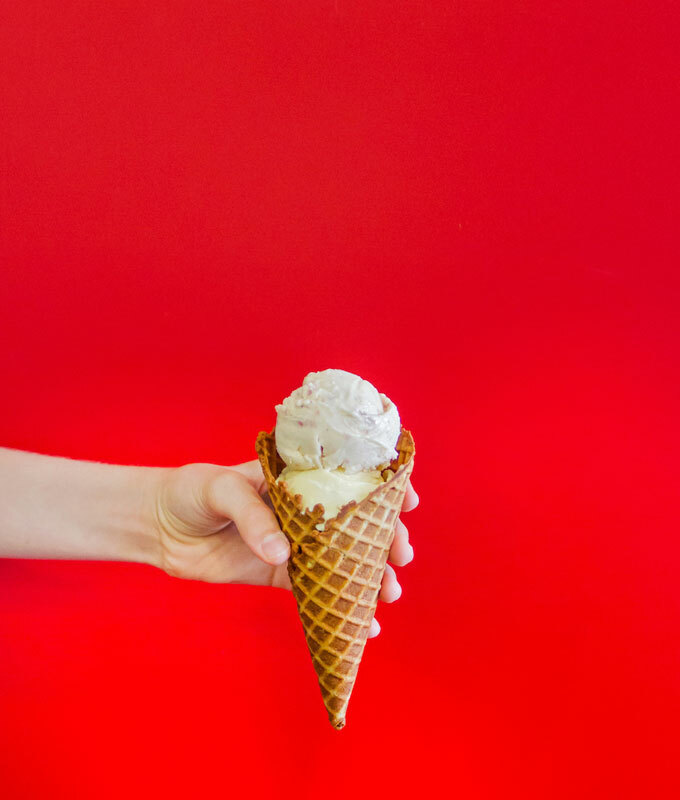 We’re talking flavors, such as goat cheese ice cream with milk chocolate and matcha ice cream with dulce de leche. 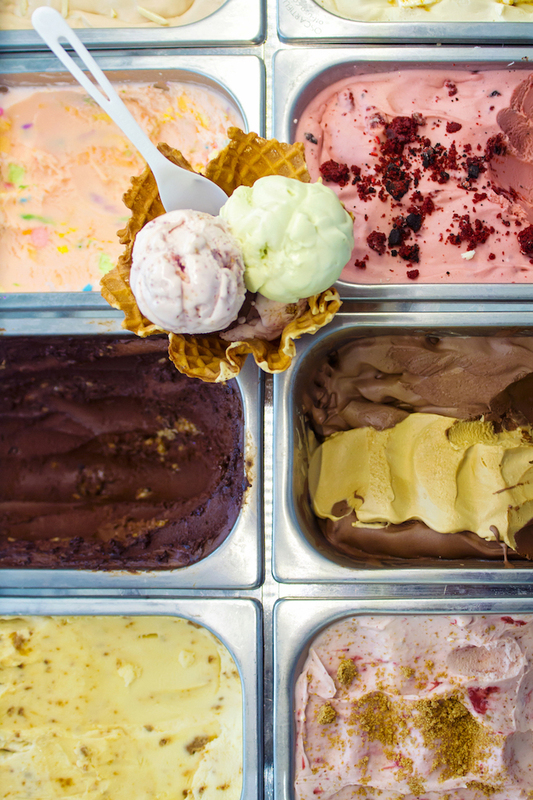 You’ll also find their ice creams at some of the best restaurants in the city. Currently with one location in Rice Village, they will soon be opening in The Heights, as well. 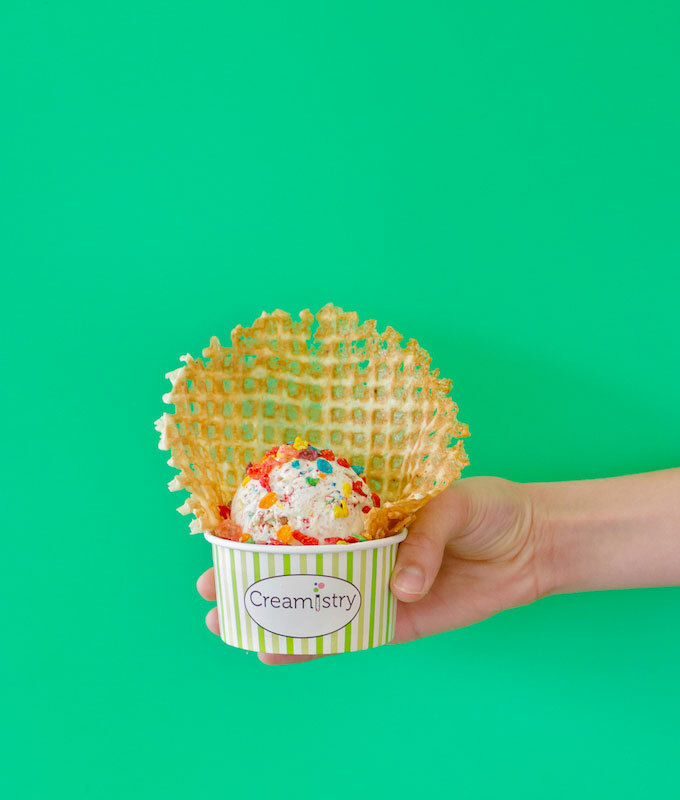 Creamistry has taken ice cream to another level. 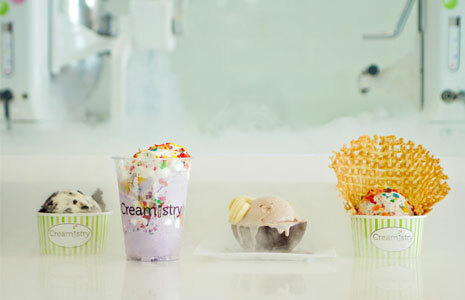 They serve made-to-order ice cream, which is mixed with liquid nitrogen (-321ºF). 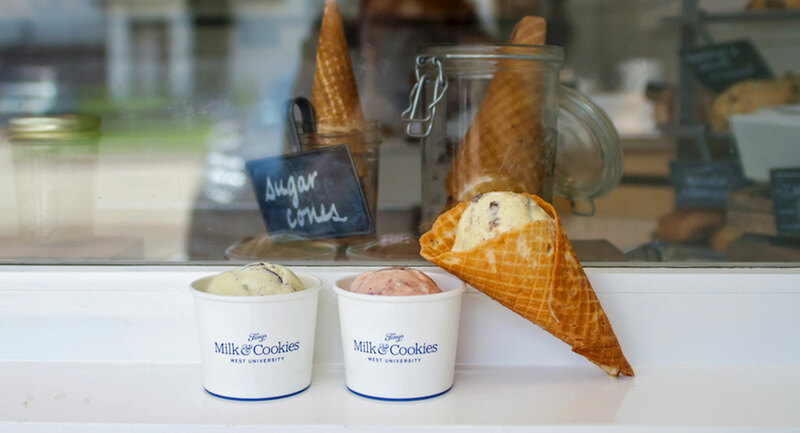 This combination makes for the creamiest, freshest, most decadent ice cream we’ve ever tasted. 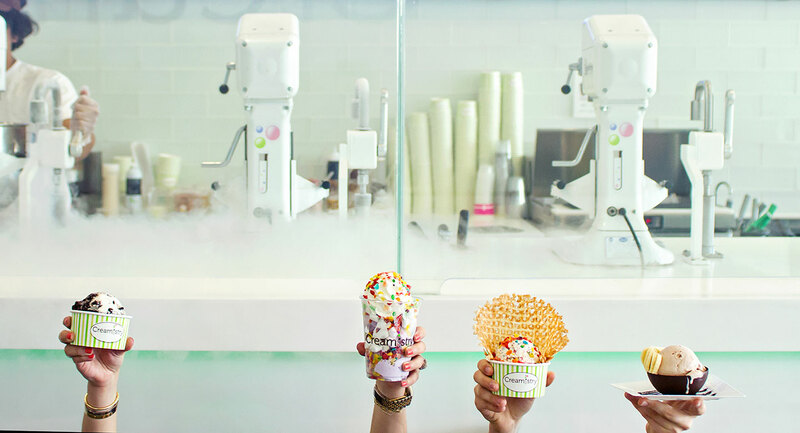 With over 70 flavors and toppings, there is a lot to choose from, and it can be overwhelming trying to decide (overwhelming in a good way, of course). Whether you want to mix in your favorite cereal, coffee or tea, cookies or cakes, fruits, candies, or nuts, anything you’re craving, more than likely they have. 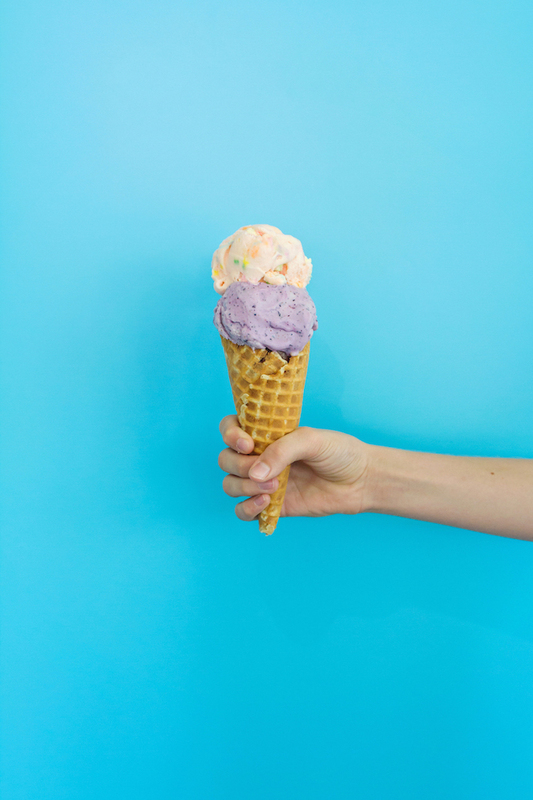 Located in The Heights, Fat Cat Creamery is an adorable shop where you’ll find small batch ice cream made with the freshest local ingredients. 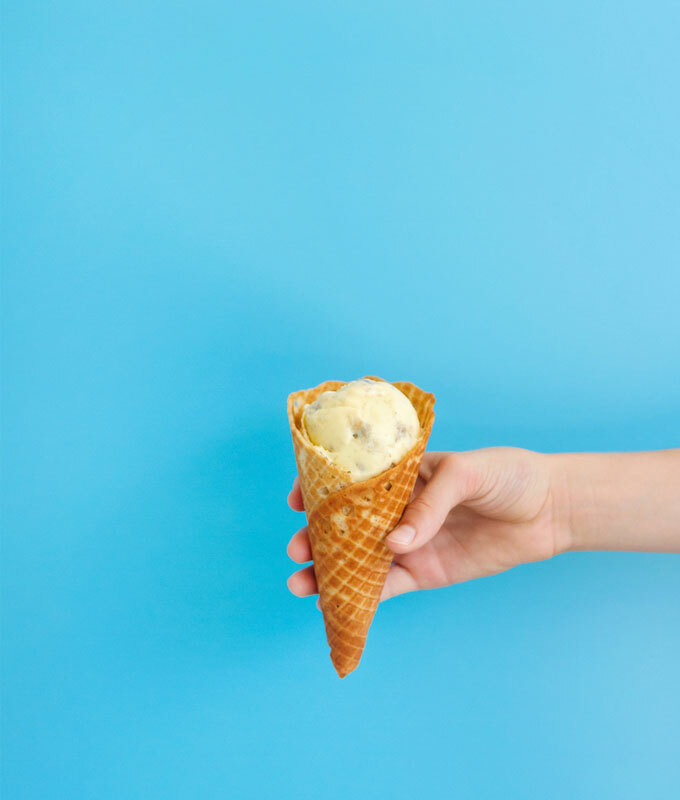 They are known for some of their signature flavors, such as cat’s meow Mexican vanilla and Amaya coffee and cream, and their seasonal favorites are truly noteworthy, as well, such as buttered rum raisin and salted butter caramel. In speaking with Sarah, the owner, you can tell how passionate she is about each and every one of their items. It shows through in each bite. They also have mouth watering milkshakes that you’re going to certainly want to try. 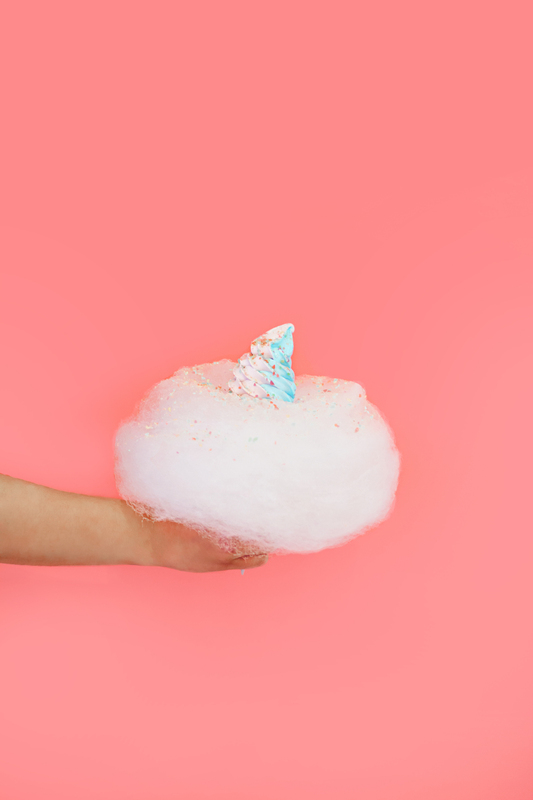 You might be familiar with Houston hot spots such as Pi Pizza, Petite Sweets, and Lee’s Fried Chicken & Donuts, as we’ve mentioned them time and again. 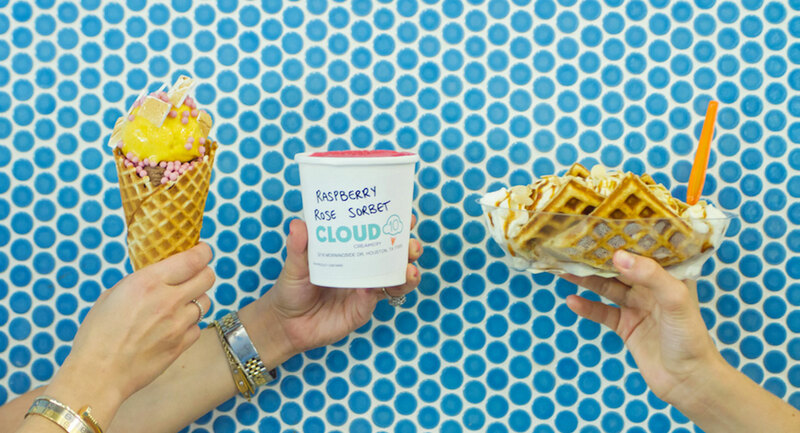 Well, you’ll find some of the ingredients from some of these Houston favorites in this ice cream. Think donuts and cake pieces in your ice cream. Yes, it’s as good as it sounds. As well, you’ll find unique flavors like their unicorn hot chocolate flavor, as well as avocado lime (I’ll admit I was hesitant with this one, but it’s seriously so so good and refreshing). Who doesn’t love an ice cream sandwich? Well, that’s what SMOOSH is known for; extremely delicious, elevated ice cream cookie sandwiches. 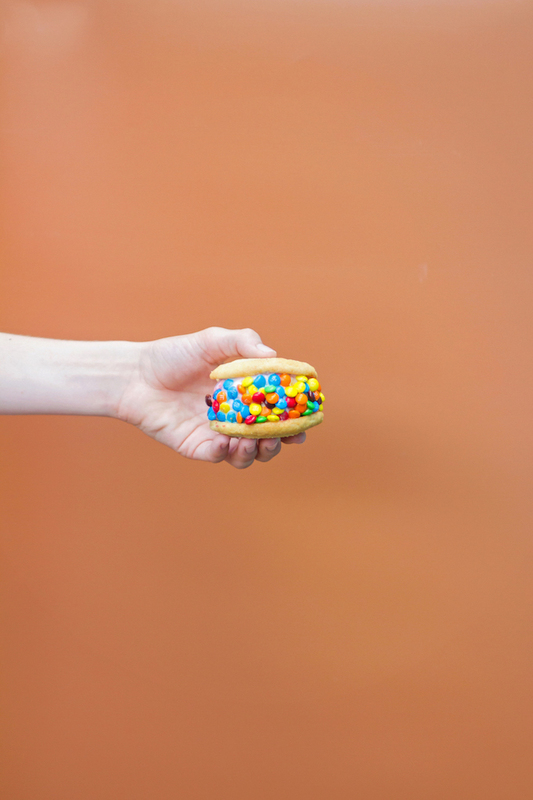 You pick the cookies you want, the ice cream you want, the toppings, and within minutes you are served the most incredible ice cream sandwich you’ve ever tasted. It doesn’t stop there, though. 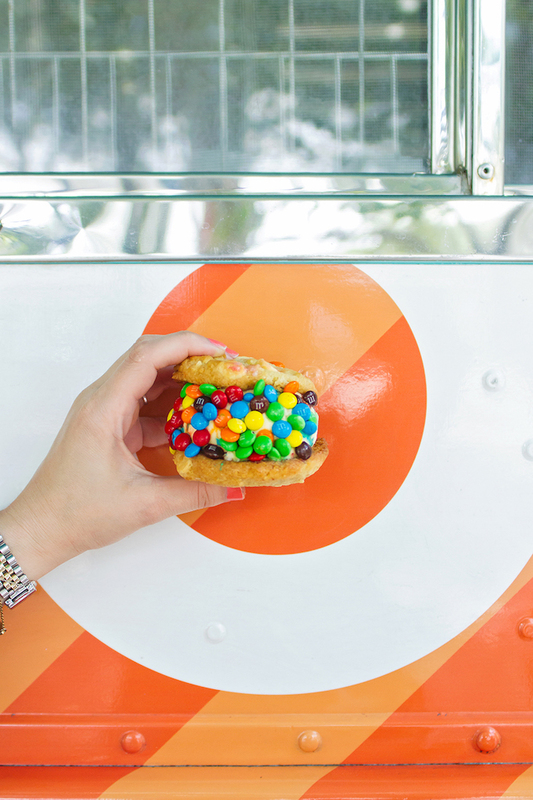 Make sure to try their milkshakes, sundaes, and floats at this well known, must try food truck. It’s located in Rice Village, but you can also find it at various events throughout the city. Of course you know Sprinkles (i.e. 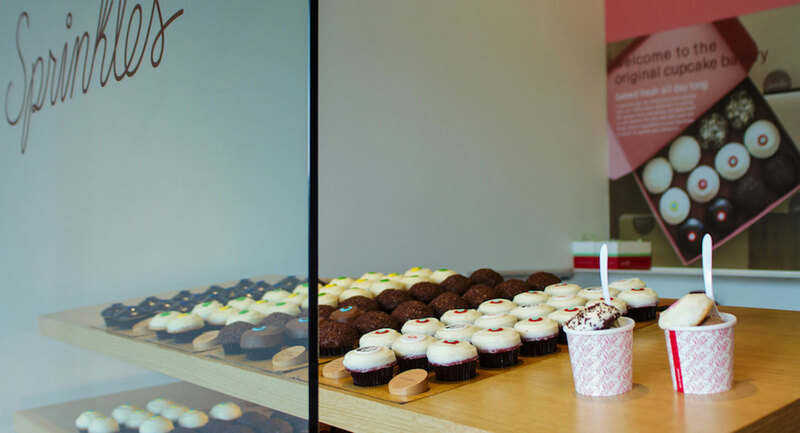 some of the best cupcakes…ever), but did you know their ice cream is just as good as their cupcakes, and when you eat it with the cupcakes, it’s a combination that you have to try to understand. It’s quite literally a cupcake sandwich. 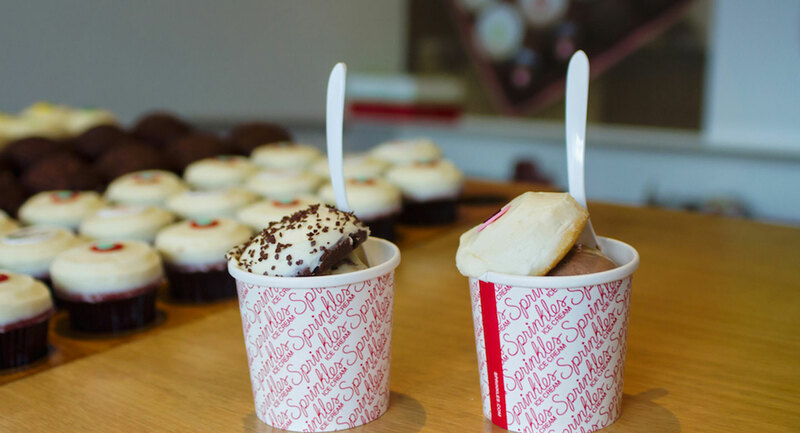 You pick a flavor of ice cream (I’m a big fan of their salty caramel), then you pick a cupcake, and they serve it like a sundae, but unlike any sundae you’re used to. 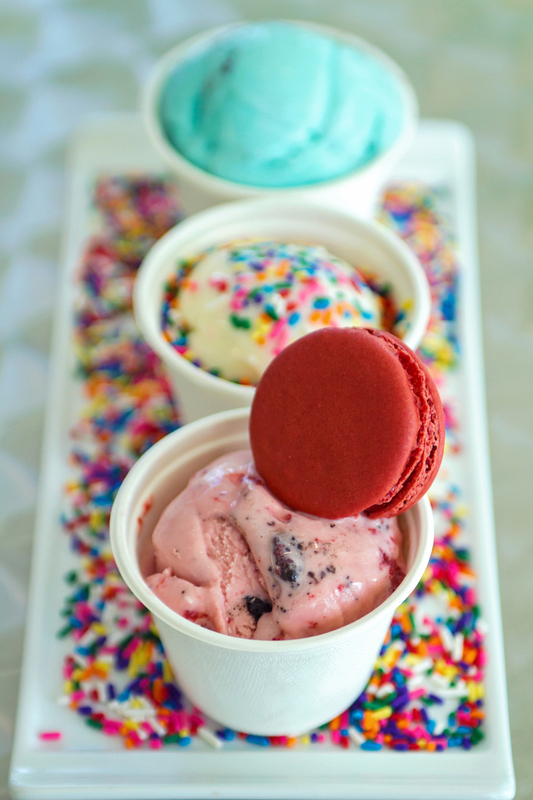 The ice cream is also perfect on its own, but I urge you to give the cupcake sundae a go. 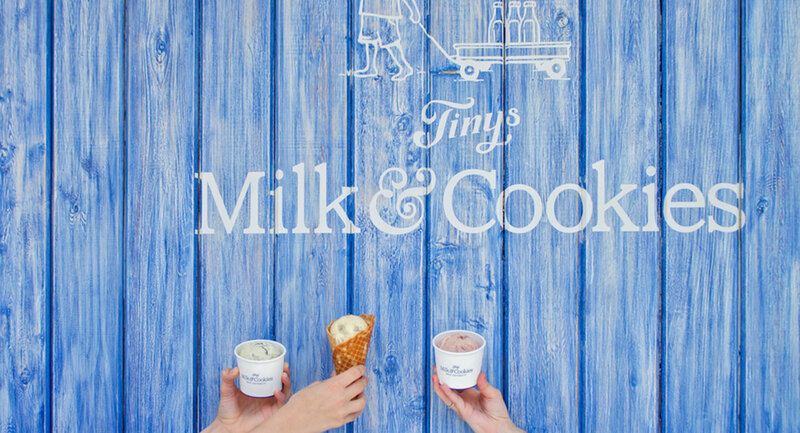 When it comes to chocolate chip cookies, Tiny’s is up at the very top of the list, but turns out, their ice cream is pretty phenomenal, too. You won’t find tons and tons of flavors on their menu, but the flavors they do have are just divine. From honey lavender to strawberry jam, and your not so basic mom’s vanilla, you’ll love them all. And, it goes without saying, grab a cookie while you’re there, too, and enjoy them together. Salivating yet? Putting together this guide was certainly not good for the waistline, but worth every bite. 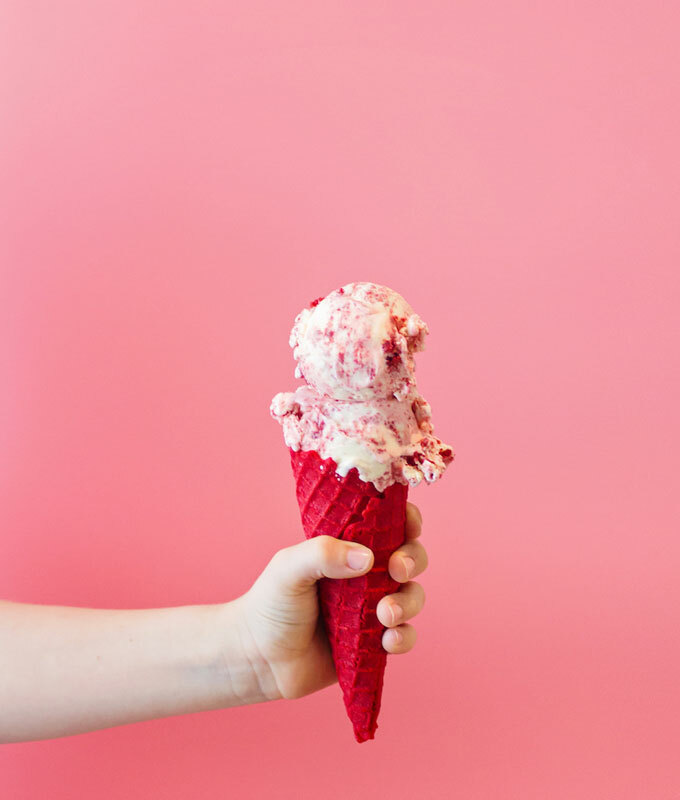 We’d love to hear what your favorite place to get ice cream in Houston is. Please let us know in the comments below. Did it make our list? Do tell! Be sure to check out our other Houston City Guides, such as the best donuts, the best birthday cakes, and more. Finally, did you catch the exciting announcement? Baby girl is already so so loved. Mixing stripes and leopard print. Off the shoulder, gingham, ruffles... This Caroline Constas top embodies all three!